All Security Equipment offers a wide range of solar compatible and solar powered gate operators / openers for every type of application. Shop here our wide selection which includes Slide Gate Openers, Swing Gate Openers and Parking Barrier Gate Openers all Solar Compatible! LiftMaster CSL24UL Commercial Slide Gate Operator with 40W33A Solar Kit - FREE Liftmaster 828LM Internet Gateway. Unrivaled performance, safety and accessibility. Built to deliver unsurpassed safety and performance the UL listed gate operators and monitored safety entrapment devices provide peace of mind for every gate application. LiftMaster CSL24UL Commercial Slide Gate Operator with two 10Watt Solar Panels and Harness. Unrivaled performance, safety, and accessibility. Built to deliver unsurpassed safety and performance the UL listed gate operators and monitored safety entrapment devices provide peace of mind for every gate application. Secondary arm LA500DCS for dual-gate applications. LiftMaster RSL12UL Residential / Light Commercial Slide Gate Operator with 20W7A Solar Kit - 828LM Internet Gateway. LiftMaster RSL12UL Residential / Light Commercial Slide Gate Operator with 20W7A Solar Kit. Unrivaled performance, safety and accessibility. Built to deliver unsurpassed safety and performance the 2018 UL listed gate operators and monitored safety entrapment devices provide peace of mind for every gate application. The Nice Solemyo is a solar power kit for NICE gate operators with simple and rapid installation. Low power consumption with no risk of blackouts. Contains the Nice SYP solar panel and Nice PSY24 24 V Battery box. Ideal for the installation requiring faster operating speed, proven strength and reliability. The Patriot is unmatched in the industry with over 15 years of superior performance. 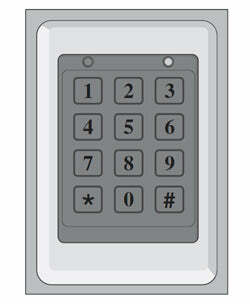 Solar charged gate operators from US Automatic are the most efficient in the industry. BFT Deimos BT Slide Dual Slide Gate Opener (also known as a BFT slide gate operator or BFT slide gate motor) System Solar Kit For Applications And Gates Up To 1100 LBS. & 75 ft. in length per gate. Kit Includes 2 Operators, 2 Control Boards, 2 Receivers, 2 Transmitters (2 CH. ), 2 Pairs of Photocells, 1 Interface board for master / slave applications & 2 BFT ECOSOL Solar Kits Including 2 Controllers, Housing and Two 10w Solar Panels. UL Listed!! BFT Deimos BT Single Slide Gate Opener (also known as a BFT slide gate operator or BFT slide gate motor) Solar System Kit For Gates Up To 1100 LBS & 75 ft. in length. Kit Includes: Deimos Operator, Control Board, ECOSOL 10w Solar Panel, Solar Panel Controller, Solar Panel Housing, Receiver, Transmitter (2 Channel) and 1 Pair of Photocells. UL Listed. This is the Apollo 1600N Swing Gate Opener (also known as a Apollo swing gate operator or Apollo swing gate motor) 20 watt Solar Package. This package includes: Circuit Board, 2 Actuators with 8 feet of cable for master actuator and 38 feet cable for slave actuator, 2 Mounting arms, Hardware, Battery box (Battery Not Included), Safety signs, Built-in 433Mhz receiver, 2 Remote Control Transmitters (433Mhz), 20 watt Solar Panel, SG-4 Solar Charge Controller. Linear SLD 1/2 HP slide gate opener (also known as a Linear slide gate operator or Linear slide gate motor) is their Commercial Slide Gate Opener with an available DC Battery Backup. 63 - Nice Robuskit 400 Slide Gate Operator 110V / 24V DC Package Including Solar Power Kit and Four ROA6 Racks for gates Up To 40' & 725 LBS. The NICE Robuskit 400 Slide Gate Opener (also known as a Nice slide gate operator or Nice slide gate motor) 110V / 24V DC Package Including Solar Power Kit and Four ROA6 Racks. The Robuskit400 Can Handle Gates Up To 40' Long And 725 lbs. Quiet! Reliable! Affordable! This is the Apollo 1650 Swing Gate Opener (also known as a Apollo swing gate operator or Apollo swing gate motor) 20 watt Solar Package. This package includes: Circuit Board, 2 Actuators with 8 feet of cable for master actuator and 38 feet cable for slave actuator, 2 Mounting arms, Hardware, Battery box (Battery Not Included), Safety signs, Built-in 433Mhz receiver, 2 Remote Control Transmitters (433Mhz), 20 watt Solar Panel, SG-4 Solar Charge Controller. This is the Apollo 1500 Swing Gate Opener (also known as a Apollo swing gate operator or Apollo swing gate motor) 10 watt Solar Package. This Apollo 1500 swing gate opener package includes: Circuit Board, Actuator with 8 feet of cable, Mounting arm, Hardware, Battery box (Battery Not Included), Safety sign, Built-in 433Mhz receiver, 2 Remote Control Transmitters (433Mhz), 10 watt Solar Panel. This Model Is Discontinued. Please see new model APOLLO 1551 as the best replacement. This is the Apollo 1550 Swing Gate Opener (also known as a Apollo swing gate operator or Apollo swing gate motor) 10 watt Solar Package. This package includes: Circuit Board, Actuator with 8 feet of cable, Mounting arm, Hardware, Battery box (Battery Not Included), Safety sign, Built-in 433Mhz receiver, 2 Remote Control Transmitters (433Mhz), 10 watt Solar Panel. The Nice Walky-Kit WL1024 Swing Gate Opener (also known as a NICE swing gate operator or NICE swing gate motor) is suited for wood or PVC. Kit includes the Nice Walky-Kit 1024 (WL1024C) with built-in control board, receiver, Nice ON2 Transmitter and Solar Power Kit. Comes with a warning sign. For swing gates up to 6 ft. Compatible for operation with the Nice Opera Management System. This gate opener Model LA412 has been upgraded to be UL325 Compliant. This means that it is mandatory for the operator to have at least one functioning SAFETY DEVICE. PLEASE NOTE: If you order this product you will receive the newly updated UL325 Model LA412PKGU which will include an upgraded control board as well as a pair of Photo Eyes (Model LMRRUL / hoods included). No additional charges will apply. The Liftmaster LA412 swing gate opener (also known as a Liftmaster swing gate operator or Liftmaster swing gate motor) is a solar powered residential swing gate opener for gates up to 550 lbs. and 16 ft. with EverCharge Power Management System – it delivers power when needed most for opening the gate and minimizes power consumption at all other times for best solar performance. This gate opener Model LA5001PKGDC Dual has been upgraded to be UL325 Compliant. This means that it is mandatory for the operator to have at least one functioning SAFETY DEVICE. PLEASE NOTE: If you order this product you will receive the newly updated UL325 Model LA500PKGUL which will include an upgraded control board as well as a pair of Photo Eyes (Model LMRRUL / hoods included). No additional charges will apply. Our LA500PKG/S (solar package) is our most advanced residential DC dual swing gate operator (also referred to as a swing gate opener or swing date motor). Take a look at what it offers! This gate opener Model LA5001PKGDC has been upgraded to be UL325 Compliant. This means that it is mandatory for the operator to have at least one functioning SAFETY DEVICE. The LA500 model is our most advanced residential DC swing gate operator (also referred to as a swing gate opener or swing date motor). It is equipped with industry-leading features like MyQ™ and Security+ 2.0™ communications, battery backup, and a capacity to handle gates up to 18 feet and 1,600 lbs. LiftMaster SW425DC SP3 Swing Gate Opener (also known as a Liftmaster swing gate operator or Liftmaster swing gate motor) with Solar Panel For Swing Gate Applications Up To 300 LBS. & 13 Feet. Receiver Included! 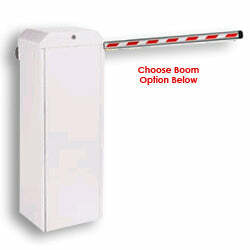 The Nice X-Bar is a solar-compatible barrier gate operator (also known as a Nice barrier gate opener) kit that includes a 24Vdc gear motor,control unit, 10 feet boom, Nice BlueBUS technology, built-in warning light and solar power kit. Compatible for operation with the Nice Opera Management System.